Humans are on a constant quest for self-actualization. We have a deep need to live in genuine serenity, to discover selves. People always seek to have full control of their mental faculties such that they can meditate without struggling too much. Anam Cara: Your Soul Friend and Bridge to Enlightenment and Creativity will get one on the right path. To open the floodgates of creativity, one needs to have peace of mind and be free of emotional baggage. This audio book is a road map to using the soul friend to achieve these. The soul friend is a non-judgmental confidante who helps an individual live to their full God-given potential. The book urges the importance of the body in accessing the mind. The science of breathing is used as an example of how one can access their mind. By breathing properly, one relaxes and eventually accesses the deepest parts of their mind. The science of breathing is often used in meditation. One may argue that the soul friend would best be a therapist or religious leader but that defeats the purpose. The point of anam cara is candor and intimacy. This book also guides the reader through the 42 confessions to the soul, these are essential in spiritual growth. Among the most important aspects of self-empowerment is selfless service. Glenville Ashby talks about being completely used up by the time of death. Giving oneself to the society with no expectations by doing the simplest of things like offering comfort to a troubled friend. Mr. Ashby also talks about thoughts creating reality. God would not punish his own creations by blessing some and leaving others in anguish. Humans are meant to create their own blessings through hard work. This is a very interesting point of view. It makes a lot of sense upon reflection. To further affirm his stand, Glenville talks about Hellen Keller and Stephen Hawking. Their outstanding positivity and contributions to the world are awe-inspiring. The author also introduces the master keys that unlock the portal to the soul. First on the list is gratitude. This is a testament to the adage; no man is an island. The responsibility to be genuinely grateful awakens a flame within humans. Glenville Ashby has not written this book to malign other therapies but rather to give a counterproductive approach to enlightenment and creativity. The ideas in this book, supported by views from Buddhist principles and Christianity, will force readers to do a thorough audit of their lives. It calls for a shift in practice and thought. The book is well written and inspiring. It is a useful tool for one who seeks to put themselves on a path to true happiness and fulfillment. To live authentically and unencumbered by travelling back and experiencing the magic of humans’ true essence, the soul. Quality of life is dependent on the choices one makes and the things they focus their energies on. Achieving self-actualization is a great place to start in seeking to live the best life possible. 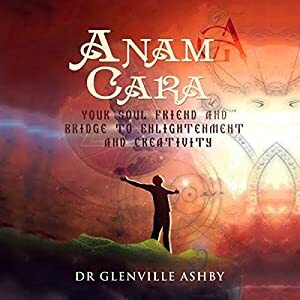 Anam Cara: Your Soul Friend and Bridge to Enlightenment and Creativity is a necessary audio book. The Six and the Gardeners of Ialana is book two in the Ialana series and picks up right where book the first one left off. What was your inspiration for the setup of this story and how did that help you create the ending? In the setup for the second book, I wanted to bring in two very diverse, but related, elements to play off each other. The first one was the continuation of the training of the Six in elemental command, and the advanced use of crystals. The second was the power struggle for control of Ialana by the ruling classes. I wanted to further illustrate how the forgotten laws of the universe, otherwise known as “magic”, can be used for opposite ends. When someone understands fully how the universe works, that actions always have consequences, and what those consequences may be, then they will not abuse this knowledge to gain personal power over others. To do this knowingly would feel insane to them. On the other hand, when someone learns only how to manipulate power for his or her own purposes, without understanding the consequences, then they will always suffer the inevitable consequences. This, I felt, produced a satisfactory ending, as the natural laws of the universe came into play. The Six go through a thrilling and perilous journey to make it home while avoiding a shape shifting king. Is there any moral or idea that you hope readers take away from the story? The perils the Six faced were the results, or consequences, of the misuse of power by others. It is the same in the real world, the one we inhabit. The monstrous creatures the Six encountered could be seen by us as disease, poverty, ignorance, and despair—the consequences of misunderstanding or ignorance of the laws of the universe. It is also known in this world as Karma. It doesn’t have to be personal to one to experience consequences of others’ actions and their misuse of power. It affects everyone at some point, but I also wanted to stress that when one is willing to learn, then one can find protection in knowledge, create a different reality for themselves, and avoid needless suffering. Just like in book one, the characters are all well developed. What were some of the trials that you felt were important to highlight the characters development? The Buddhists believe that suffering produces growth. For me, it seems unnecessary when one understands how to use the laws of the universe correctly, but in many instances, suffering works, and the trials the Six went through all contributed to more understanding about themselves. For example, in the first book, it was difficult for them to work together as a team. They did not understand their goal, their past, or about the nature of reality. Once they went through different trials together, they learned how to work as a team, understanding what their common goal was. Another thing that occurs to me, is that one appreciates knowledge so much more when it has not come easily, and, it does make the books so much more entertaining! The next one is already published. It is the third in the series, The Six and Anwyn of Ialana. This book continues with the adventures of the Six, only with some exciting new characters, and an old enemy that resurfaces, but in a more frightening form. The difficulties for the Six in this book ramp up in tandem with their abilities and responsibilities. With great power often comes even greater responsibility, and this book will not disappoint. I am working on a fourth in the series, no title as yet, but this one promises to be the best one so far. I have learned much from the first three books, and I also wanted to take the Six in a new direction and bring in problems they had not faced before. This book has a whole new feel to it, but it does retain the elements of mystery and adventure that my readers have enjoyed, while keeping the characters intact, and introducing even more challenges for them. While this book is still in the early stages, it should be published sometime in 2017. My website and Facebook page will keep readers updated. The Six and the Gardeners of Ialana is now in the production stages of audio book narration by the same talented narrator, Jeff Hays, who narrated the first book. I intend to release all books of the series in audio, as well as ebook and print, in 2017. In a seamless continuation of the first book in the series, “The Six and the Crystals of Ialana”, the six healers find themselves caught in the midst of a power struggle between the competing rulers of Ialana. Unable to complete their healing mission, to heal mutants who were genetically altered by crystal manipulation, they flee the Galonese warlord, Ortzi, and attempt a dangerous journey back to their homes in northern Ialana. Trapped by malevolent creatures, hunted by a monster who seeks them for reasons of its own, and on the run from a king and a conniving shape-shifter, there seems to be no place of safety for them. Will they find the mysterious abode of the Gardeners? Who are the Gardeners, and what is their purpose for the Six? 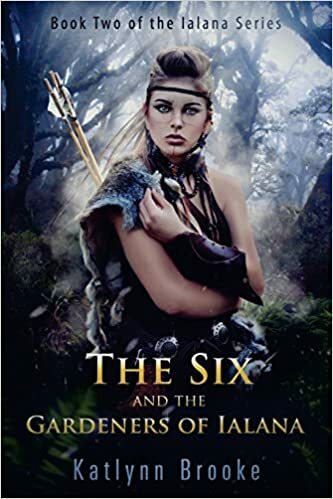 Will The Six be able to find Queen Catrin, who sets off on a quest of her own, or will Catrin run afoul of her husband, King Brenin, before she can find The Six? In The Gardeners of Ialana, the Six explore the mysteries of healing, elemental command, and through many more trials, learn their true purpose in life.